QR codes for lottery tickets might bring a significant change in the lottery ecosystem. 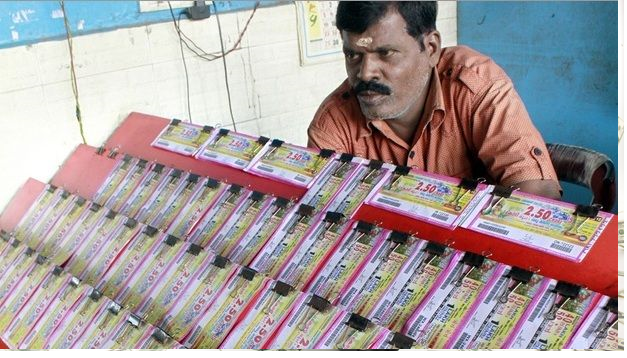 TM Thomas Isaac, Kerala’s finance minister, has recently announced the plan of the lottery department to implement QR codes for all the tickets. The change might be beneficial for the government in many ways. Let’s look at the details of how QR codes for lottery tickets work and their benefits. QR (Quick Response) code is a trademark name for two-dimensional barcode system. It was invented to track vehicles and scan components at high speed. The sole purpose behind QR code is to create an image that can be scanned by QR code reader or smartphones and devices that have QR code reader applications. It is similar to a barcode – it has black squares and dots representing certain information. The code is scanned, the information is translated into a language that humans can understand. The data in the QR code could be binary, number, alphanumeric, or kanji. How to use QR codes on tickets? Traditional lottery tickets are simple documents with lottery number and basic details. Most don’t even have the identity of the ticket holder printed on them. This increases the chances of fraudulent claims and scams. With a QR code, the retailer will scan the ticket to check whether the person claiming the prize money has won the lottery. Also, players can check the tickets on their own via mobile phone, tablet or computer. The purpose behind the step is to design a track-and-trace system that will follow the supply chain of lottery tickets, get tickets from the government and made it available to buyers via agents. This way, authorities will be able to track winners and verify their claims in a hassle-free manner. At present, a lottery ticket is verified by different marking methods such as opaque tests, micro lines, intricate guilloche patterns and void pantographs, which still do not ensure 100 percent authenticity of the ticket. The QR code pattern will help in keeping the fraudsters at bay. Kerala government has earned massive revenue in the last five years with state lotteries. Here are the numbers shared by the finance minister. Lotteries are very popular in India. At least 13 states in India have legalized gambling and betting, while the Law Commission of India has tabled a report suggesting the legalization of gambling and sports betting. Some of the states where the lottery is legal and popularly played are Mizoram, Sikkim, Maharashtra, Kerala, Mizoram, Nagaland, Goa, Madhya Pradesh, Arunachal Pradesh, West Bengal, Assam, Mizoram, and Punjab. Lotteries provide good revenue to state governments, that’s why some of the states have made the practice legal. The ban on lotteries is, however, not very effective as there are online platforms that offer players the chance to win big money. Is lottery banned in your state? If a lottery is illegal in your state, but you want to try your luck to make money the easy way, why not try online platforms. Lottoland is one of the leading international lottery platforms that will soon be launching its website in India. They have some fantastic games and a huge sum as prize money if you win the lotto. You can play lottery from anywhere on their website. To increase your odds of winning, make sure you read tips and tricks online. Also, try playing games that have the option of the second draw, as you never know when luck might turn in your favor. All the Best!